There’s plenty of opportunities to enjoy Earth Day science indoors or outdoors this season! 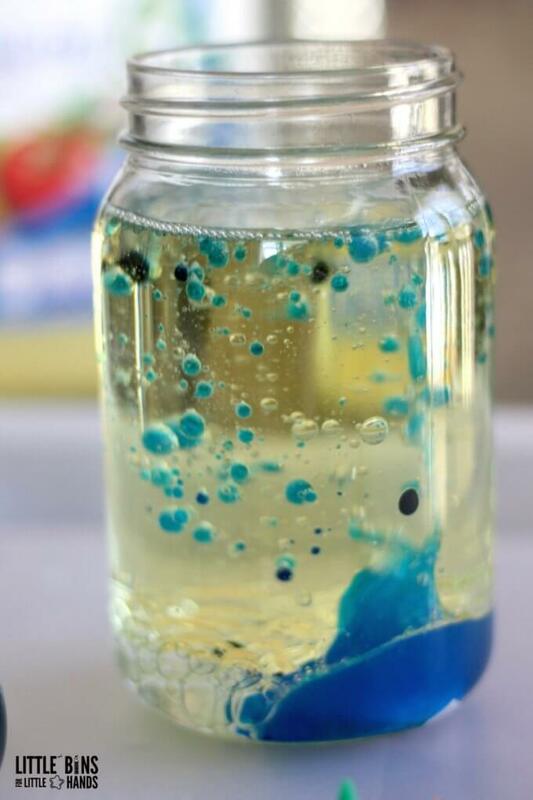 This simple lava lamp experiment is easy to set up and an amazingly fun Earth Day activity perfect for kids of all ages to explore! Try kitchen science with a homemade lava lamp that explores liquid density and a cool chemical reaction. Simple science for the win! LAVA LAMP SCIENCE PROJECT FOR EARTH DAY! I always think of blue and green when I think of Earth Day. 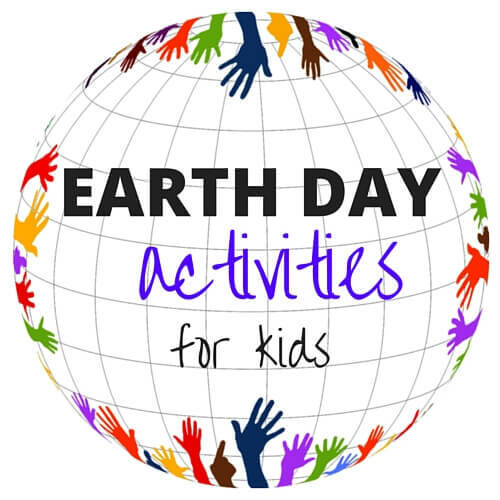 Although this Earth Day science activity isn’t doing something directly to save the Earth, it’s sparking the curiosity of our future scientists who will have a huge impact on our world. Between planting seeds, doing community cleanups, or learning about pollution, it’s definitely ok to experiment with another kind of Earth Day Science! 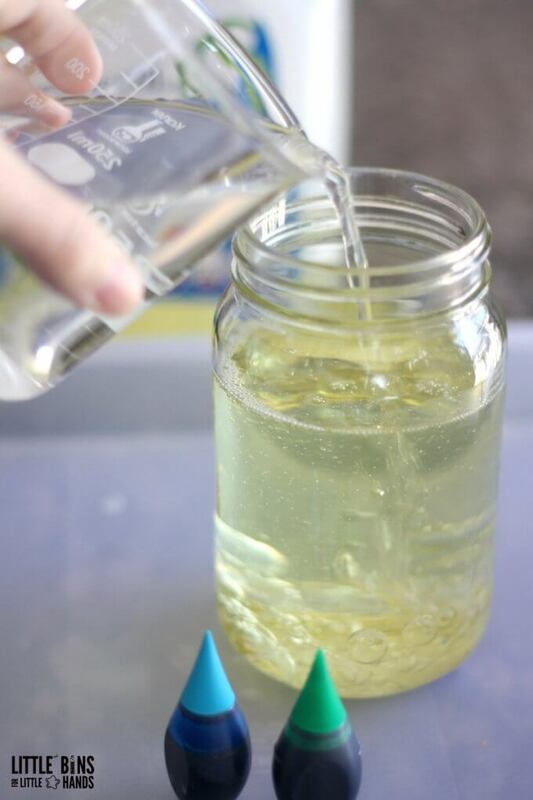 Explore playful chemistry and learn a little bit about why oil and water don’t mix. Look below! That’s some really cool science. 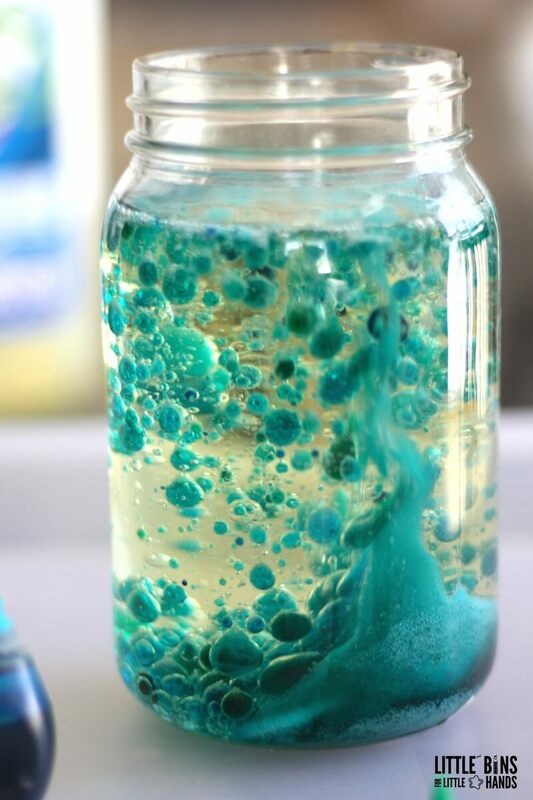 The first time we used one jar and combined blue and green food coloring which you can see below. The following pictures show two jars! The best part of this lava lamp activity is just how easy it is to set up! Walk into the kitchen, open your pantry and find everything you need to create a homemade lava lamp and check out liquid density. This is also a simple science activity to bring into the classroom because it’s so cost effective! Make sure to read up on the science of what’s in a lava lamp at the end of this page. 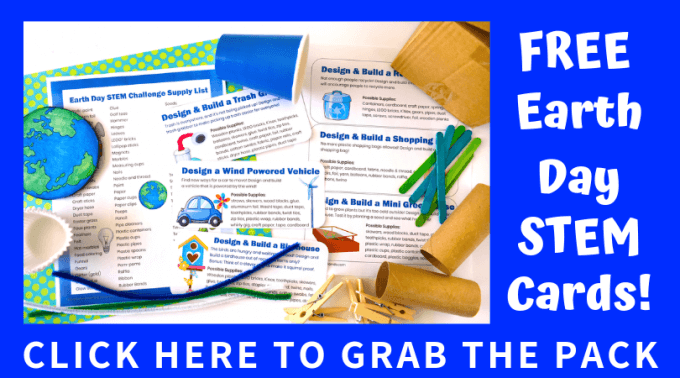 Look for our FREE printable science experiments below! Step 1: Gather your ingredients! We started with one jar for both blue and green food coloring and then decided to separate the colors into their own jars. STEP 2: Fill your jar(s) about 2/3 of the way will oil. You can experiment with more and less and see which one gives the best results. Make sure to keep track of your results. This is a great way to turn a science activity into an experiment. 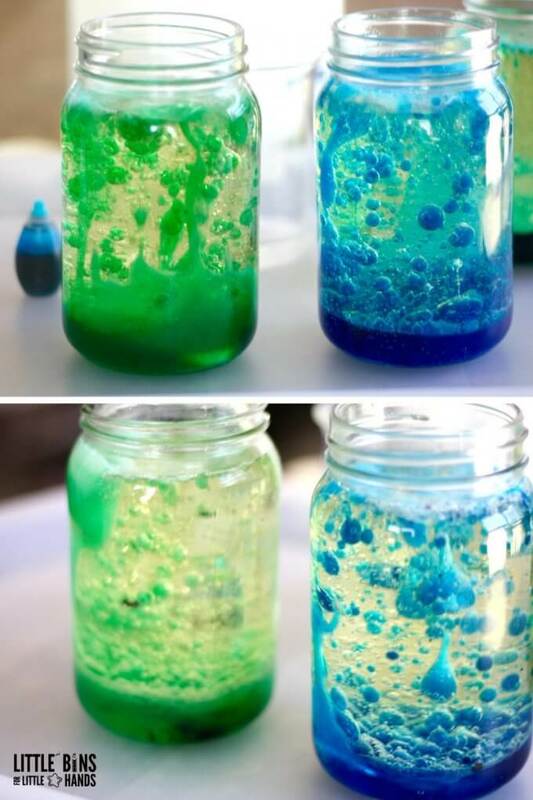 How else you can you change up this lava lamp science experiment? What if you didn’t add oil at all? Or what if you change the temperature of the water? What would happen? STEP 3: Next, you want to fill your jar(s) the rest of the way with water. These steps are great for helping your kids hone their fine motor skills and learn about approximate measurements. We eyeballed our liquids, but you can actually measure out your liquids. 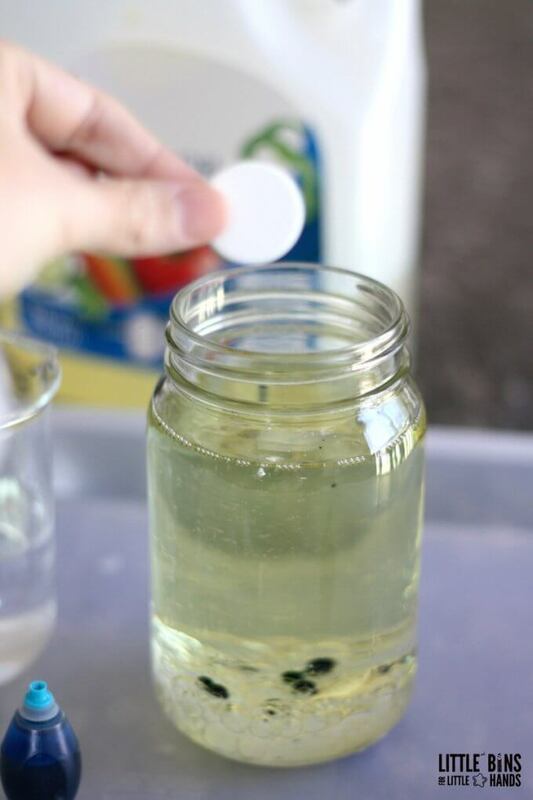 Make sure to observe what happens to the oil and water in your jars as you add them. Have you ever made a DENSITY TOWER? 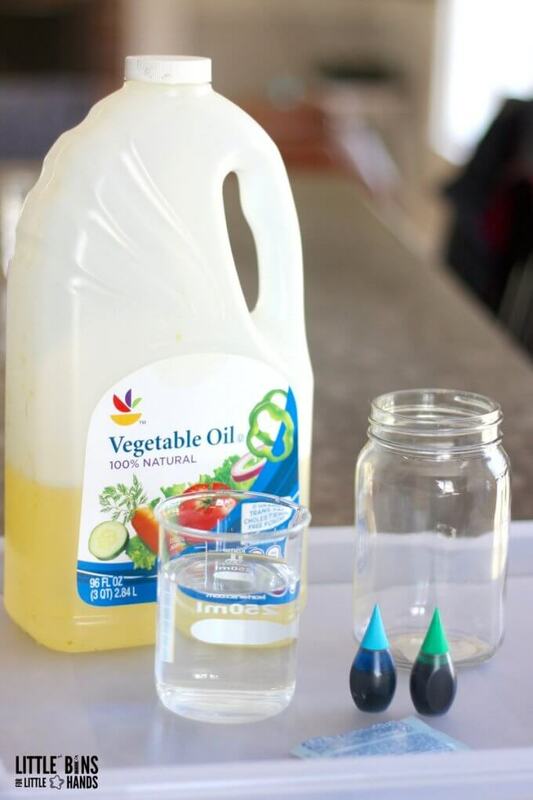 STEP 4: Add drops of food coloring to your oil and water and watch what happens. However, you don’t want to mix the colors into the liquids. It’s ok if you do, but I love how the coming chemical reaction looks if you don’t mix them! STEP 4: Now it’s time for the grand finale of this lava lamp science experiment! It’s time to drop in a tablet of Alka Seltzer or it’s generic equivalent. Make sure to watch closely as the magic starts to happen! Save a few tablets for these Alka Seltzer rockets too! Notice the tablet is heavy so that it sinks all the way to the bottom. You may have already observed that water is also heavier than the cooking oil. The chemical reaction between the water and the Alka seltzer starts to take shape as you can see below and the bubbles or gas that it is produced during the reaction pick up blobs of color! This chemical reaction will continue to pick up speed. We share a fun video on our FB page of how cool it looks. The reaction will continue for a few minutes, and of course, you can always add another tablet to continue the fun! There are quite a few learning opportunities going on here with both physics and chemistry! The liquid is one of the three states of matter. It flows, it pours, and it takes the shape of the container you put it in. However, liquids have different viscosity or thicknesses. Does the oil pour differently than the water? 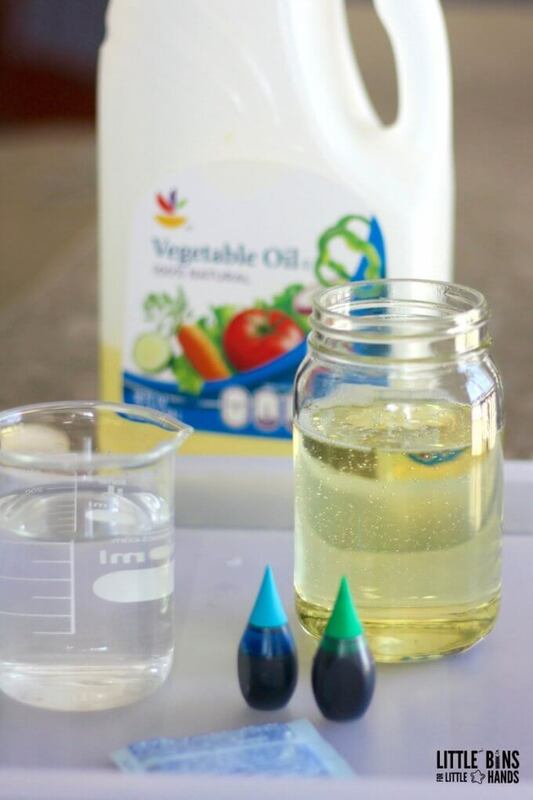 What do you notice about the food coloring drops you added to the oil/water? Think about the viscosity of other liquids you use. Why don’t all liquids simply mix together? Did you notice the oil and water separated? That’s because water is heavier than oil. Making a DENSITY TOWER is a great way to observe how not all liquids weigh the same. Liquids are made up of different numbers of atoms and molecules. In some liquids, these atoms and molecules are packed together more tightly resulting in a denser or heavier liquid. Now for the chemical reaction! When the two substances combine (tablet and water) they create a gas called carbon dioxide which is all the bubbling you see. These bubbles carry the color water to the top of the oil where they pop and the water falls back down. 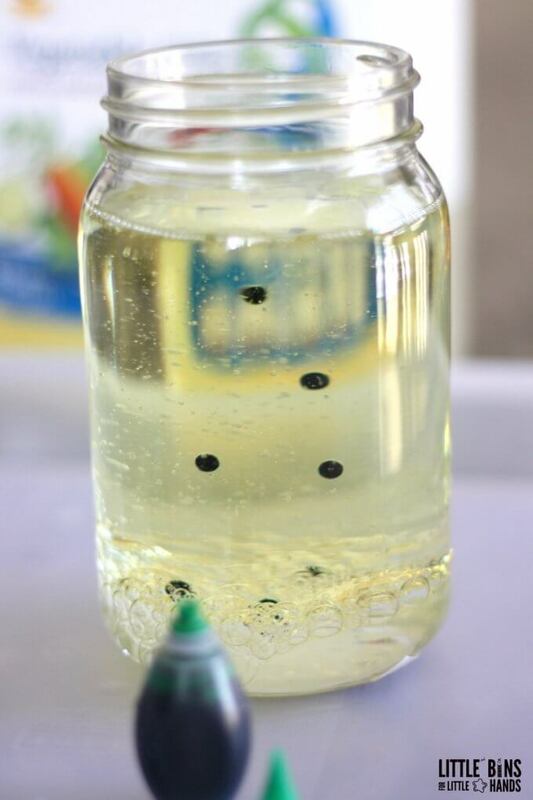 EASY LAVA LAMP SCIENCE EXPERIMENT KIDS WILL LOVE! Click on the pic below or on the link for more fun hands-on Earth day activities. This looks like a GREAT activity! How would you recommend disposing of the contents afterwards? I’m assuming that dumping it into a sink would be a poor choice. Just toss it into the trash? You can put it in the trash surely. It is cooking oil and water which is often disposed of down the sink as well depending on your system.